Tommy and Stuart are traveling to California for two very different reasons. Tommy has been chasing love across the dried-up, burnt-out ruins of the once-populous American Midwest. Stuart is hunting for his wife and daughter’s killer, a man he once called his neighbor, who fled the snow-choked corpse of New York City after a winter storm finally did the metropolis in. When a chance encounter on a passenger bus heading west strands the two in the forsaken underbelly of Las Vegas, Tommy and Stuart find that getting passage into the Golden State’s “promised land” is much harder than they ever imagined. 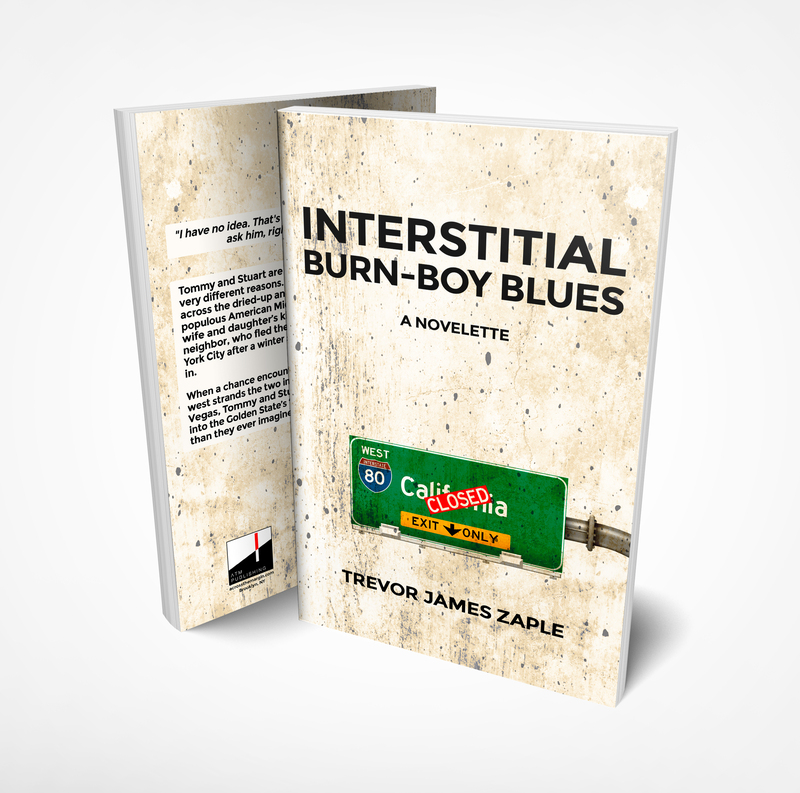 Interstitial Burn-Boy Blues is a climate-fiction centered cautionary tale boldly imagined and cleverly written by Canadian-author Trevor James Zaple.